Join us at Jungle Joe’s for an Easter Egg Hunt and visit with the Easter Bunny on Sunday, April 14th from 12pm-2pm. Reserve your space here and learn about our sibling discount for this awesome event! Join us weekdays from 2pm to close for $2 off admission per child, plus BOGO 50% off meals at Joe’s Cafe. Limited time offer. Simply mention this page to redeem your savings! Jungle Joe’s is an imaginative playtime paradise that accommodates both kids and their parents in a fun, climate-controlled environment. While the kiddos romp around the play structure, parents can enjoy a cafe and lounge that offers a tasty menu and free Wi-Fi. 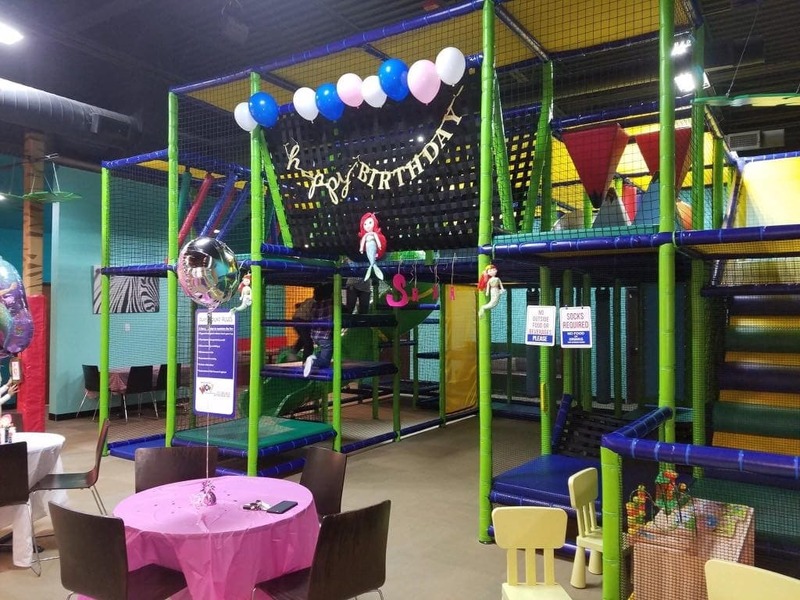 Book your little one’s birthday party, seasonal camps or come by for open play 7-day a week… Jungle Joe’s is where the fun starts!